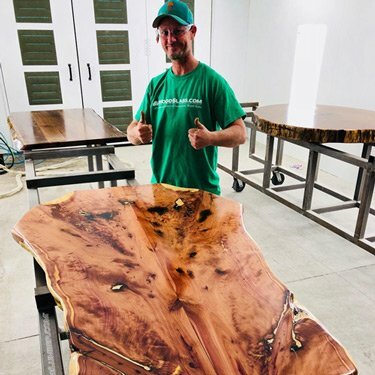 We are one of the largest producers of live-edge slabs. 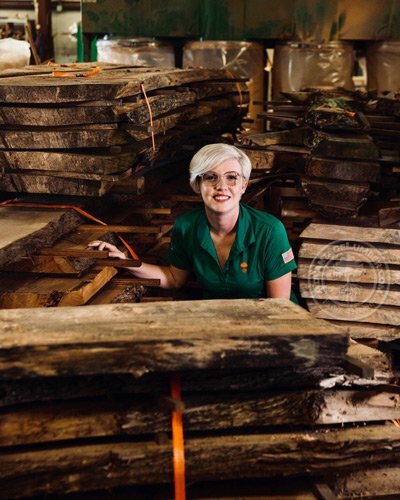 Our slabs are kiln-dried to provide maximum stability and to eradicate any insects. 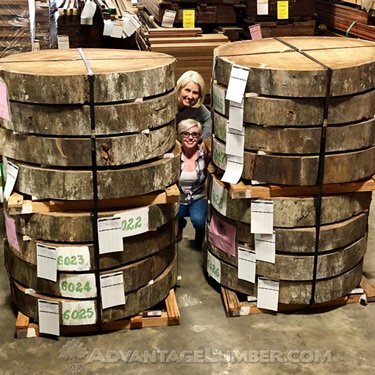 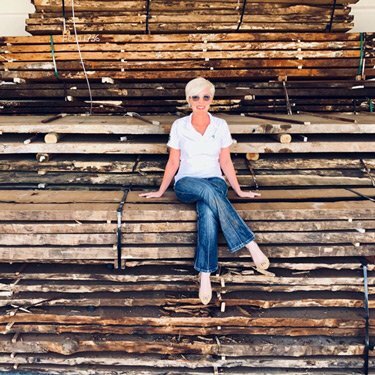 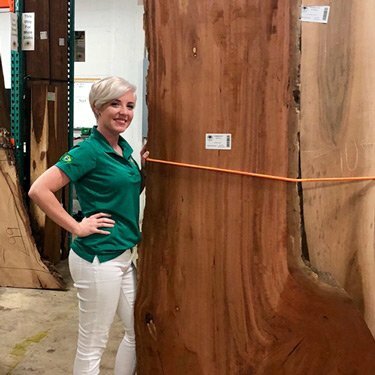 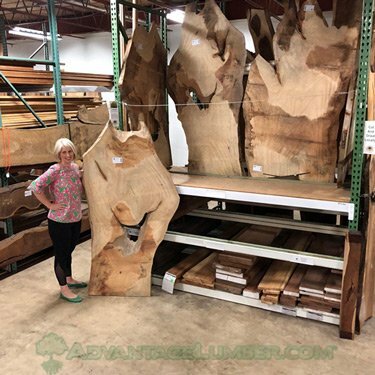 We cut over 100 species of hardwoods including Indian Rosewood, Walnut, Camphor, Tigerwood, Brazilian Cherry, Persimmon, and many other hard-to-find lumber types. 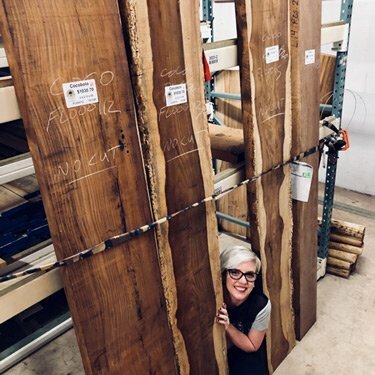 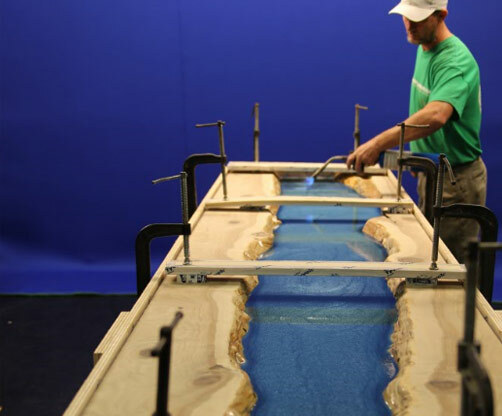 We offer surfacing, sanding, epoxy filling of voids, spray-finishing, book-matching, and gluing services, and we ship directly to you. 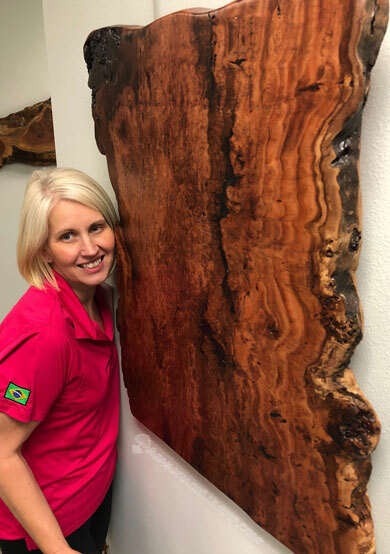 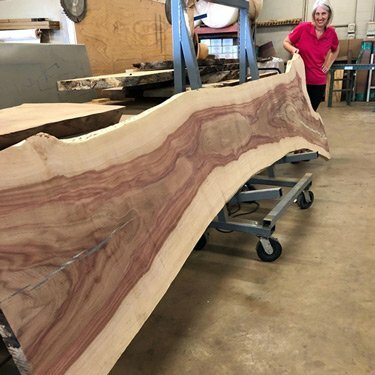 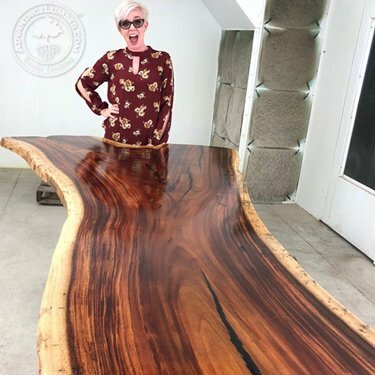 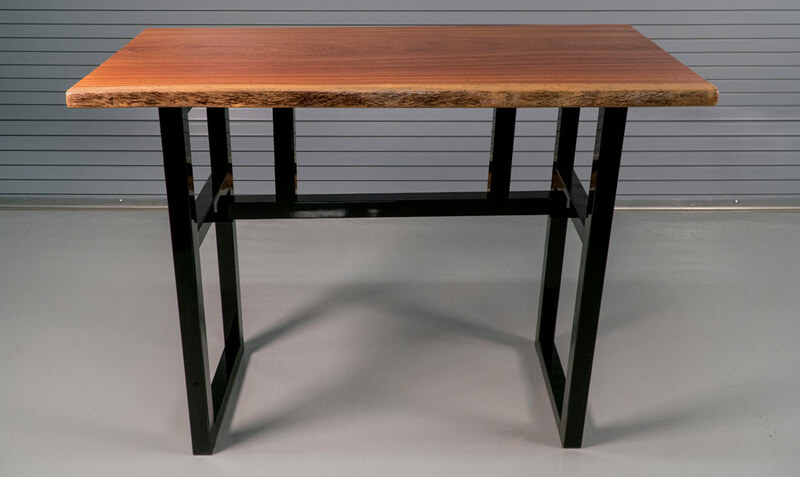 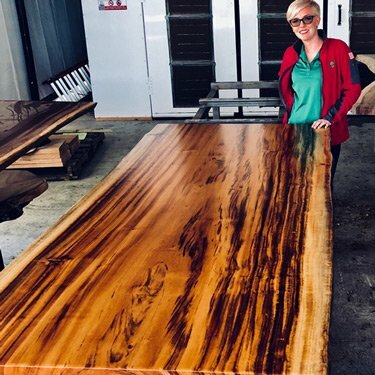 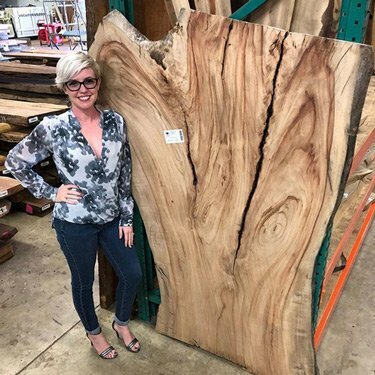 Our slabs are often used for kitchen tables, bar tops, end tables, coffee tables, shelves, doors, wall art, benches, and many other woodworking projects. 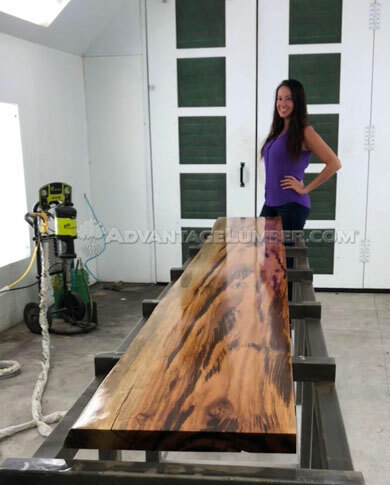 We at AdvantageLumber.com® pride ourselves on being manufactures of sustainable wood, and our live-edge slabs are no exception. 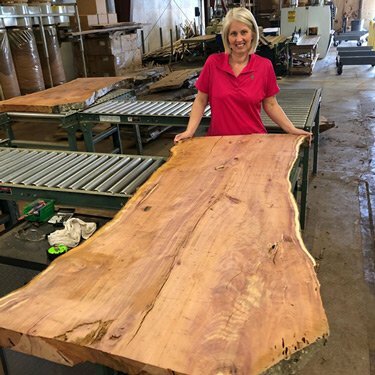 Many of our slabs come from locally harvested urban logs that were removed from homes, streets, or industrial areas needing space. 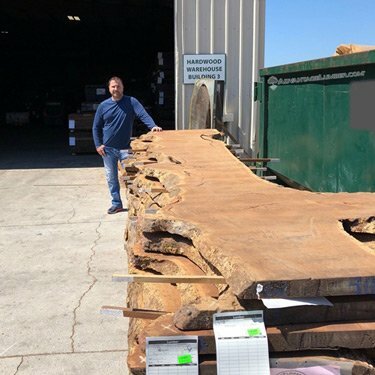 Some of the slabs came from our own backyard when we cleared land for new buildings. 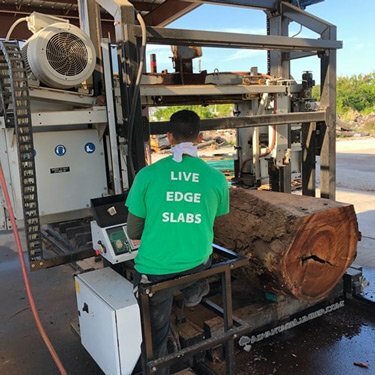 If you have any questions, feel free to email us at info@woodslabs.com or give us a call at 941-388-9299. 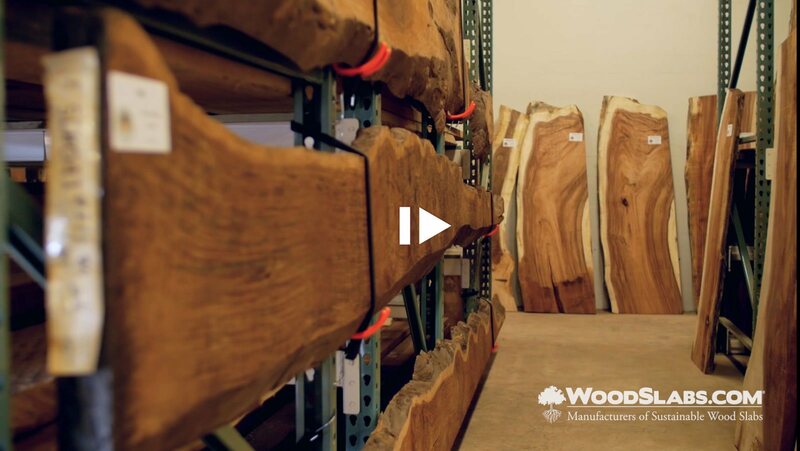 Dynamic, bold stripes help these wood slabs stand out.